Add to that crippling materiel shortages as the war dragged on and inter-agency disagreements and it is no wonder that it was not the Germans who reaped the fruits of their labors but the Allies, racing each other at war’s end to get their hands on technology that would take their own projects to new levels. Even if the Germans had been able to develop certain projects to operational status as war wound down, there wouldn’t have been enough fuel available to put them in the air—no matter how much the Luftwaffe tried to conserve by, for instance, resorting to towing aircraft by oxen! 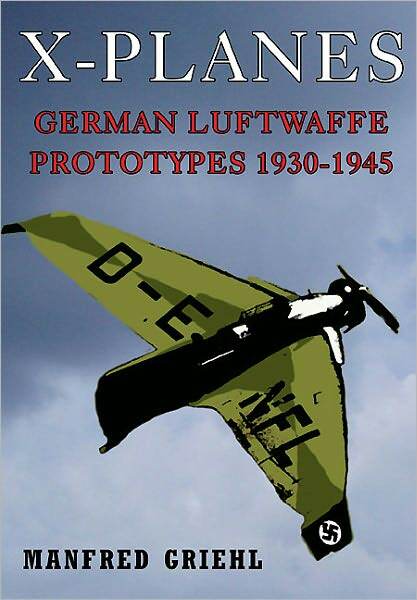 This book presents over 200 civilian and military prototypes and experimental fixed and rotor wing aircraft produced over a 15-year span. 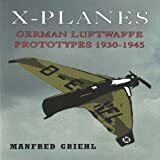 Of the almost 40 books German aviation expert Griehl has written or co-written, his 2006 title Luftwaffe X-Planes, German Experimental Aircraft of World War II (Greenhill Books, ISBN 978-1-85367-577-5) is the closest to this new one. But at only 80 pages, 55 of which contained photos, it was a mere teaser compared to this 288-page affair, which, on a per-page basis is actually 60% cheaper—and significantly better. Griehl’s work certainly warrants serious attention but, as so many of his books, this one too doesn’t have the kind of apparatus (bibliographic references, source citations, footnotes etc.) that the heavy-duty researcher would expect as a point of departure for further work. Anyone else, though, will be thoroughly satisfied by the data and especially the photos. 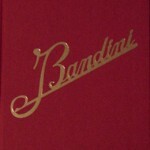 The bulk of the book is devoted to aircraft in alphabetical order by maker and within that, by type. There is minimal narrative, consisting of a few introductory sentences about each type (nothing about the maker). Data tables are uniformly styled throughout: type, serial number, production number, remarks, first flight, and ultimate fate. 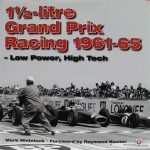 Each model, but not every type, is shown in at least one period photo (some of which new to the record), precisely captioned and credited. There are no 3-views or specs/performance data. From Arado to Zeppelin and biplane to supersonic rocket-powered machine, and flying boats and flying wings, all the important projects are here. 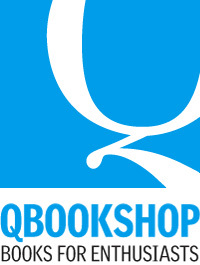 No Index, which is not really a loss given how the book is set up. Readers new to the subject will appreciate the early chapters explaining the consequences of the Treaty of Versailles banning aircraft development Germany after WWI. This resulted in Germany doing covert development work all over Europe, including the Soviet Union which was initially supportive of skirting the rules since it stood to benefit them! Pretty much an essential book for the student of experimental craft not just of this period and country but everything that came after it. 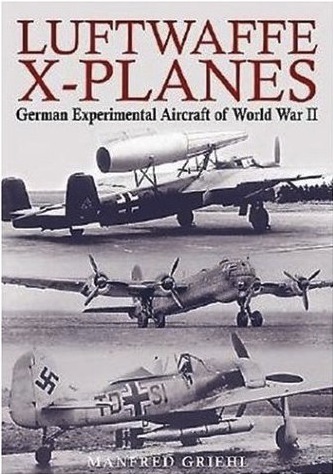 It should be said, though, that the Hikoki series of books on experimental craft—which does not, yet, include one on German planes—remain the benchmark.